A vibrant and diverse new city to the northwest of London, Milton Keynes encompasses landscapes steeped in history from the Bronze and Iron Ages all the way to the legendary Bletchley Park, home to the WWII British code breaking efforts and the Colossus computer. Featuring award winning galleries and theatres, this buzzing outer London hub of culture is an ideal spot for one of our creative Work of Art or Commercial Break events. Home to one of the biggest shopping centres in the country, Milton Keynes also boasts over 4,500 acres of parkland, rivers, lakes and woodland - a true ‘city in the country’. Our free venue finding service is on hand to source the perfect spot for your team building activities, whatever your needs. Complete a quick enquiry now or give our friendly sales team a call on 0845 006 06 06. 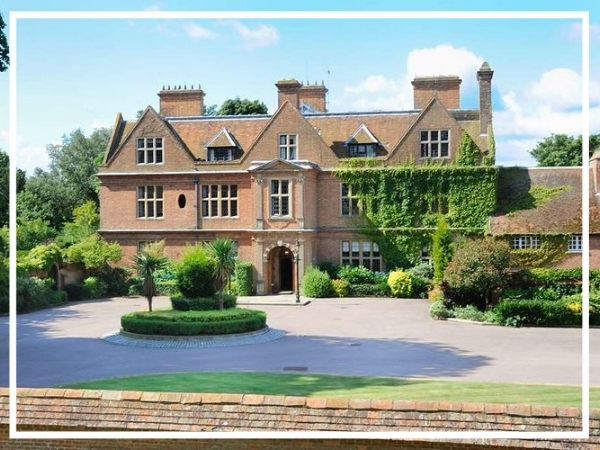 Horwood House is nestled in 38 acres of landscaped gardens in the Buckinghamshire countryside. Offering 35 meeting rooms with state-of-the-art technology and 185 bedrooms, this flexible venue is a firm favourite here at CCC Events for a team build in Milton Keynes. The Hilton Milton Keynes is a modern hotel ideally situated for business or leisure. Located four miles from the city and its many attractions, the venue has great conference facilities including the Cranfield suite that can seat up to 300 guests and opens onto an outdoor area. Following a multi-million pound refurbishment programme, Harben House Hotel offers over 25 meeting and event rooms as well as 140 bedrooms. All situated just minutes from the M1, it is a fantastic base when working or visiting Milton Keynes and its surrounding areas.